Protip: You can have both the Multiverse version as well as the previousbuild versions installed at the same time. NOTE: Yeah, yeah, I know, please ignore the file attachments. 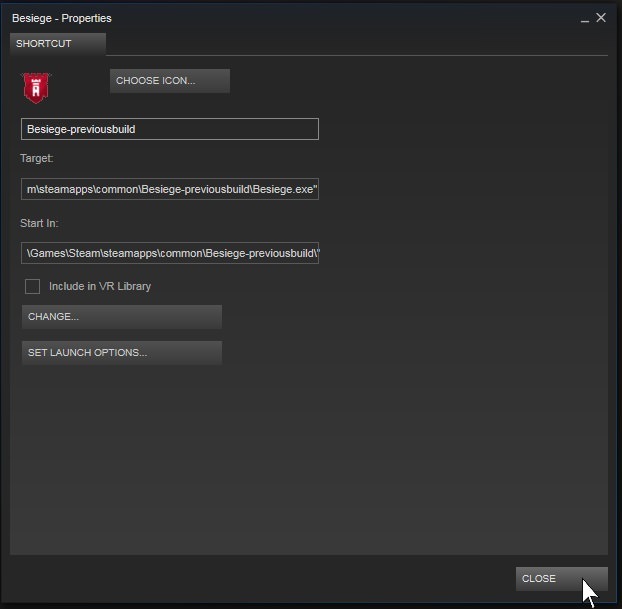 EDIT: If you want workshop support, place the steam_appid.txt in your previuosbuild folder. Copy it there from your original folder, right next to the Besiege.exe. This one tip was taken from Spaar's Github page on the modloader. 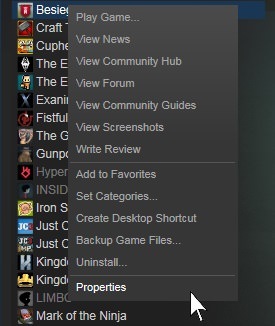 First of all, you need to go to your games library and right-click on besiege and select properties. Then select the Betas tab and click on the drop-down menu and select the "previousbuild -" option. After that close the properties window and let besiege update. You then must go to your steam folder in which besiege is located and make a copy in the same folder. I renamed mine to "Besiege-previousbuild" but you can name it whatever you want. Then you can go back to steam. and reverse the previous build- just go back to the betas tab and select "None -opt out of all beta programs" and let Besiege update. This next step is optional but highly recommended. 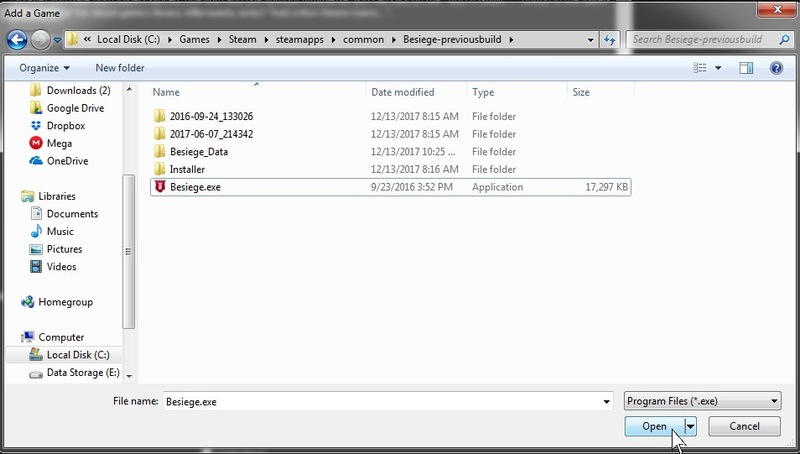 First, open up the previousbuild folder and then the Besiege_Data folder within it and delete the SavedMachines and Mods folders (This is done so that the next paragraph can work). Next, start the command line, if you don't know how to just go to the start menu and type "cmd" then right-click on the program that comes up and select "Run as Administrator"
mklink /J "path to previousbuild/Besiege_Data/SavedMachines" "path to original besiege folder/Besiege_Data folder/SavedMachines"
mklink /J "path to previousbuild/Besiege_Data/Mods" "path to original besiege folder/Besiege_Data folder/Mods"
Programs will now treat all the folders as one folder when accessing it, but the link put last is considered as the originator, so if you delete that, it is really gone, if you only delete the other folder, it is still in the originator, also you can tell which one is the originator by looking at the icon, the one with the shortcut icon (blue arrow) is not the originator. Of course you would want to replace the placeholders with your actual paths. The quotation marks are only necessary if your path has spaces. 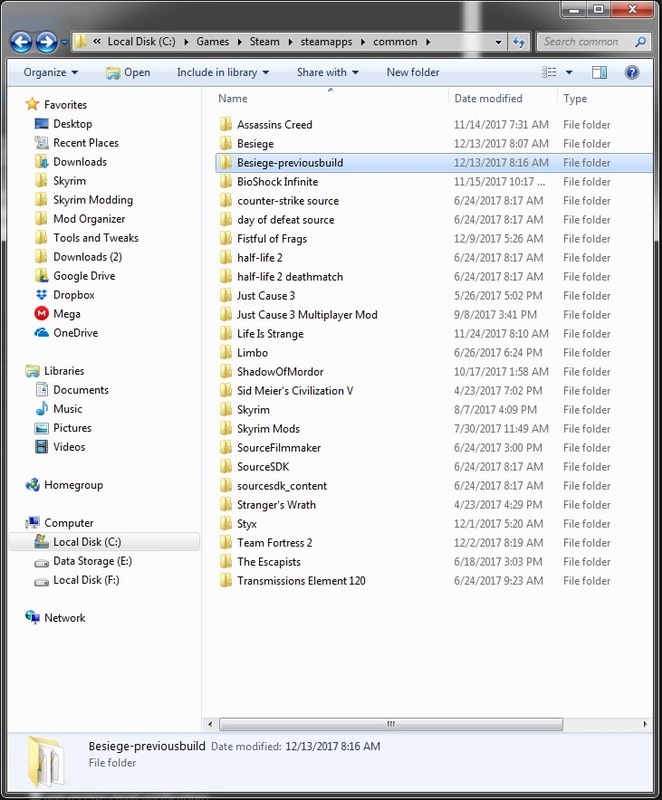 For those that followed Shade's guide, you can just replace the original besiege folder path with the Dropbox folder, don't worry, it will still link to your original besiege folder as well, although you may have to partially redo the steps that you took in Shade's tutorial as well as reinstall your modloader. 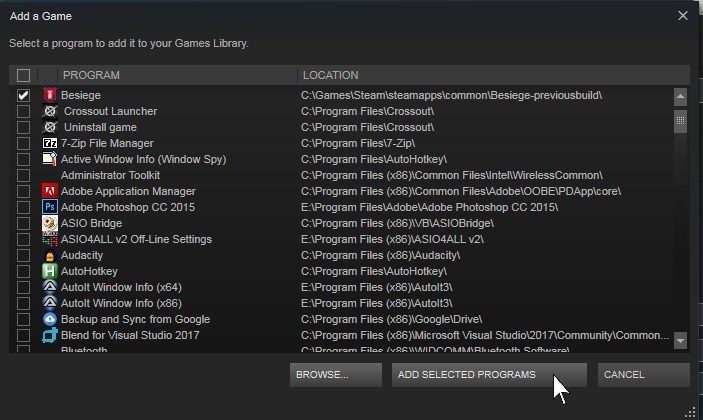 So after you have both folders synced, one with and one without multiverse, you can click on the "ADD A GAME..." button in the lower-left corner of the steam games library. 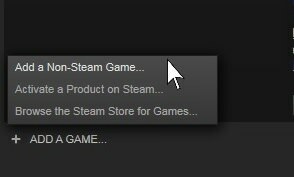 Afterwards, select "Add a Non-Steam Game...". Then click on "ADD SELECTED PROGRAMS"
I would Just like to say thank you for reading! Did I mention that this is my first post? I hope this helped at least somebody rather than no one, I mean, I did my best to make it easy to understand. That post worked great for me! It is surprising that this is your first post! It was easy to understand and a good amount of pictures. A thumb up from me! I ty the thing to do the same with skins, but my previousbuild doesn't seem to recognize the skins folder. Yeah, sorry bruh, I'm not that familiar with the besiege filesystem. I don't think I can help you. When I copy paste your command in my cmd.exe (run as administrator), it says: system could not find the givin path, does anyone know how to fix this problem? Sorry for the late reply, but you could try swapping around the two paths. sorry for the necro but cant I just right-click "saved machines" and press "add a shortcut" and put the shortcut in the previous builds folder? 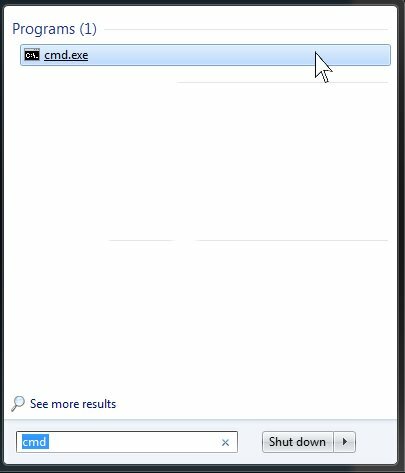 in Windows, junction link is not the same as shortcut file.